DAY 13 of our month-long series on the effects of new state laws and budget cuts: a law aimed at making college textbooks more affordable goes into effect. Throughout the month of August, The Texas Tribune is featuring 31 ways Texans' lives will change come Sept. 1, the date most bills passed by the Legislature — including the dramatically reduced budget — take effect. Check out our story calendar here. Day 13: A law authored by House Higher Education Chairman Dan Branch, R-Dallas, that aims to bring down the costs of textbooks at Texas colleges and universities takes effect. In February, Texas State University freshman Caitlin Clark wrote a piece for The University Star about a bill authored by state Rep. Dan Branch, R-Dallas. "If the Legislature is doing anything right this session, this is it," Clark wrote. "I hope they pass this bill for the sake of my (parents') wallet and the wallets of other Texas college students." She got her wish. Sponsored in the upper chamber by Senate Higher Education Chairwoman Judith Zaffirini, D-Laredo, House Bill 33 passed, was signed by Gov. Rick Perry, and will technically take effect on Sept. 1. It's no surprise that the bill might be a hit with the students. By codifying new federal rules, it puts into place a number of measures aimed at bringing down the cost of college textbooks. As tuition and fees rise around the state, lawmakers hope these changes might ease students' path toward earning a degree. Discussing behavior he observed at community colleges, Branch said, "instead of taking two or three courses, book prices are keeping people from taking as many classes which slows down their progress toward a credential." Colleges and universities will be required — unless the college bookstore takes on the project — to provide a list of the retail price, authors, publishers and copyright date of all required and recommended texts for each course and disseminate them to students at least a month before the semester starts, allowing students time to find the best deals. Higher ed institutions will have to provide students with information regarding programs that can cut down on textbooks costs, such as renting, buying used books or guaranteed buyback programs. 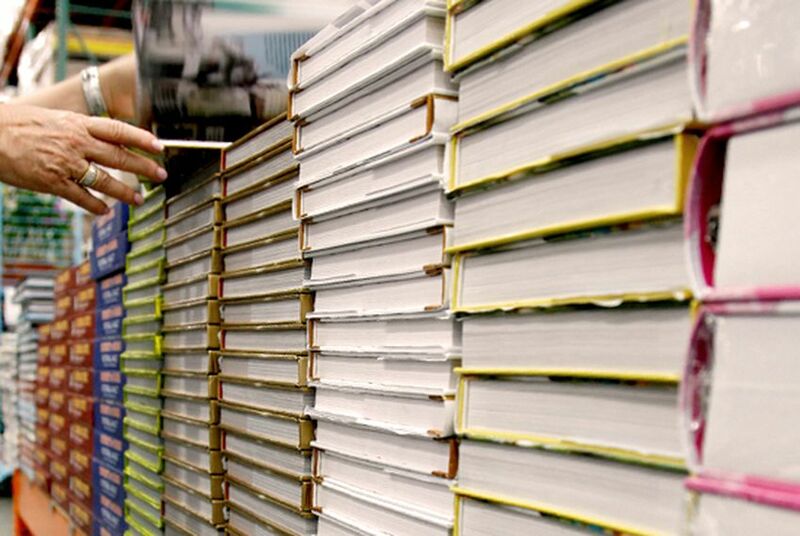 Publishers will be required to provide faculty members with information including the actual substance of changes made to each new edition of a textbook and the time between previous editions. Those that offer textbook bundles will also have to provide each item in the pack individually. The bill sailed through the Legislature with the support of students and booksellers alike. But students heading off to college this fall need not get too excited about scouring the university-provided list and selecting their courses based on which offers the most affordable, unbundled textbook options. Though the law is effective at the start of next month, part of that law includes the following: "applies beginning with the 2012 fall semester. " **As part of The Texas Tribune's ongoing effort to explain the fallout from the 2011 regular and special sessions, we encourage you to engage with us and be part of our coverage. Respond to our stories below. Post a comment on our Facebook page. Send photos to our Tumblr site. We may come to you in the future to help us tell the story of how Texas is changing.